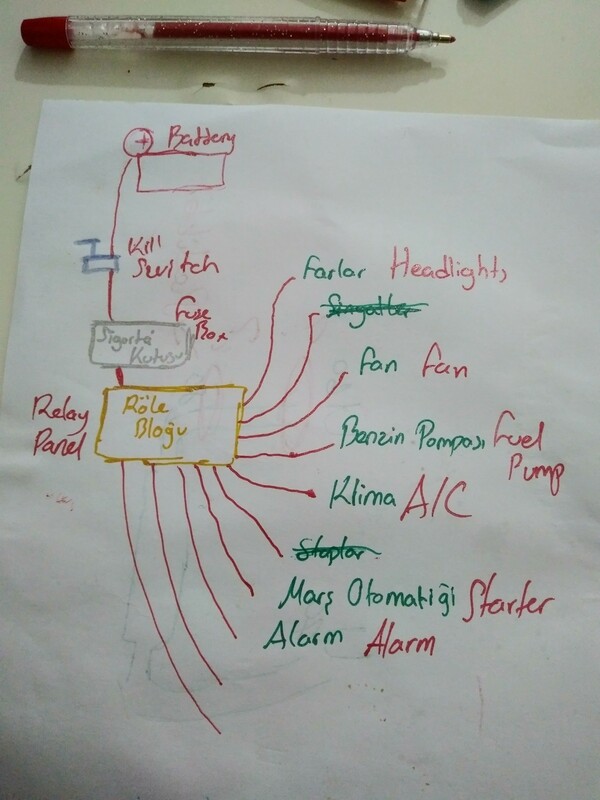 Thread in 'Project Cars and Builds Threads' started by seyid omer delice, Nov 6, 2018. Hello guys. This is my /Kind of a build/ thread. 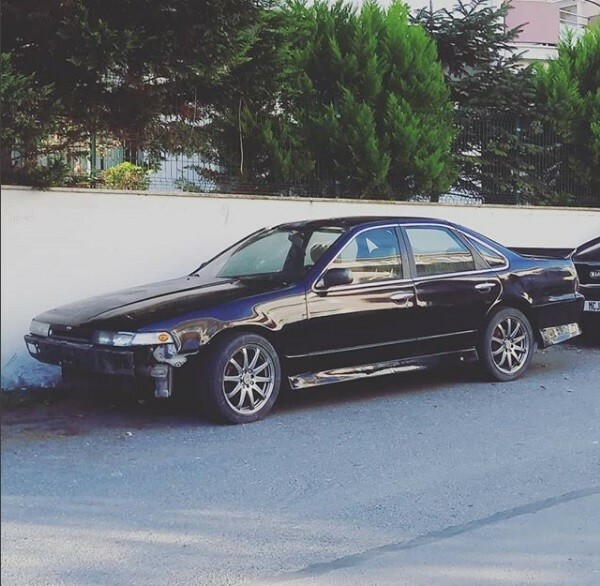 I have had an a31 Cefiro, which actually is an Altima Laurel but not really either of them. 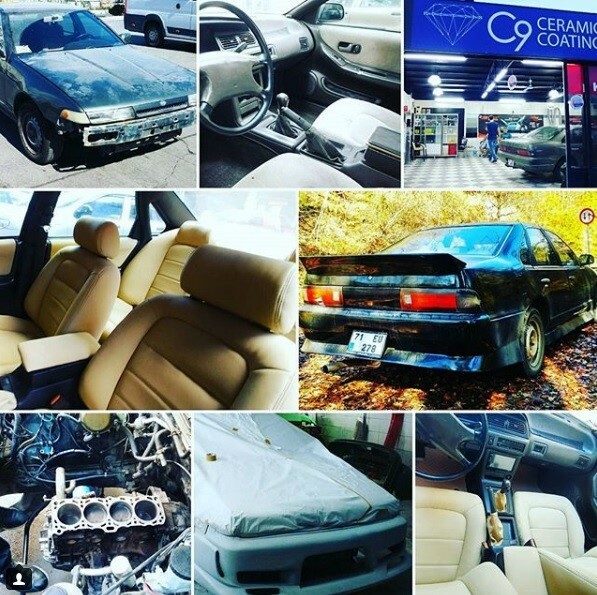 What I mean is that it has the Cefiro chassis code and does not look like Laurel or Altima. Though it comes with a CA20S engine in it which is more than crappy for anything. So when I got this car my plan was to throw a 1uzfe in it. I had the money and everything but life has its ups and downs. I had to spend all my money on something else then. I had only a few bucks left which was barely enough to afford a ca18det. The car has some weird bodykit on it. I want to get the OEM front bumper and do something about the rear bumper. You will see in the pictures below. Please do not mind the exhaust. I had to put something there to drive it all the way back to my town WITHOUT getting a ticket lol. Front brakes and brake calipers converted to s13. I have bought maintanance parts for the engine like gaskets, water pump, timing belt etc. but I do not have the tools or knowledge to do the maintanance myself yet. So I am just waiting until I find someone to help me out with it. So what I want to do is to buy an aftermarket ECU now. There is a guy who programmes ECUs for the cars for quite cheap as the others are not affordable for me. I will have to wire it myself but the engine wiring is quite crappy.. so I want to start with the wiring now. 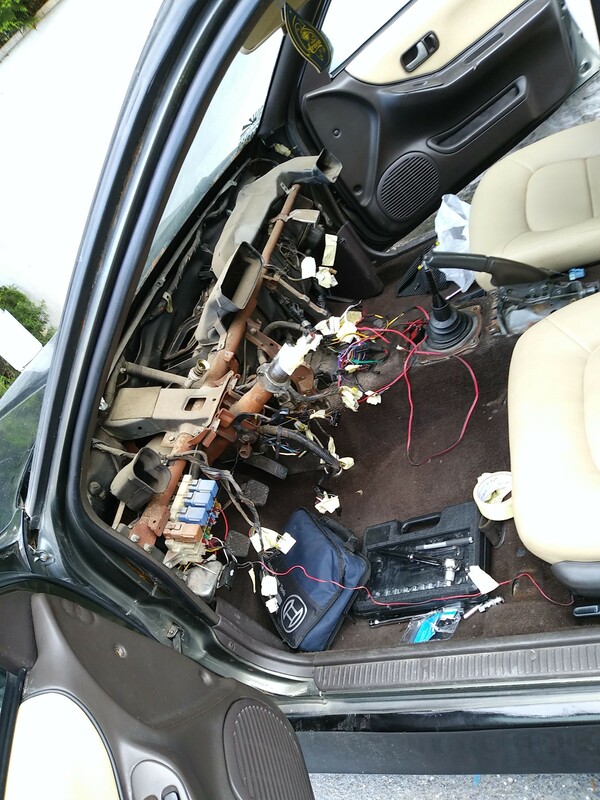 I started to remove dashboard as there is a big mass... Some cables dangling under the dash.. that's what I hate to see. 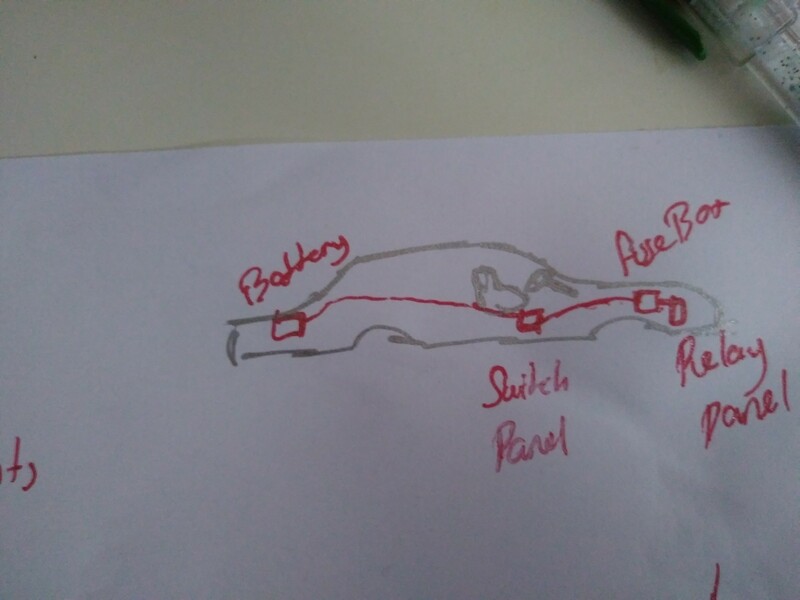 Since I dont know alot about engine wiring and things like that, I will ask you guys for help most of the time as well as researching here and there. I want you to know I'm not a kid that uses forums as search engines. If I ask you something believe me I really had to do it. So please answer considering this . 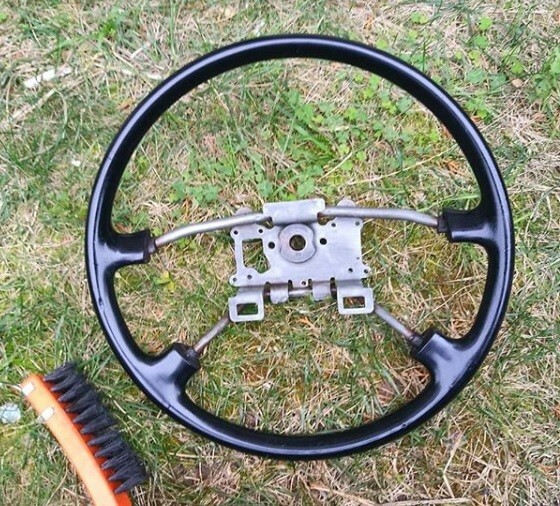 The steering wheel will be stock so I thought best to clean it up a little..
By the way I also changed the tail-lights that were broken and the signals as they were quite yellow.. Also removed the front bumper for FMIC. Got the Toyosport 5.5 liters FMIC for this car. I want 220ish HP so that should do it. 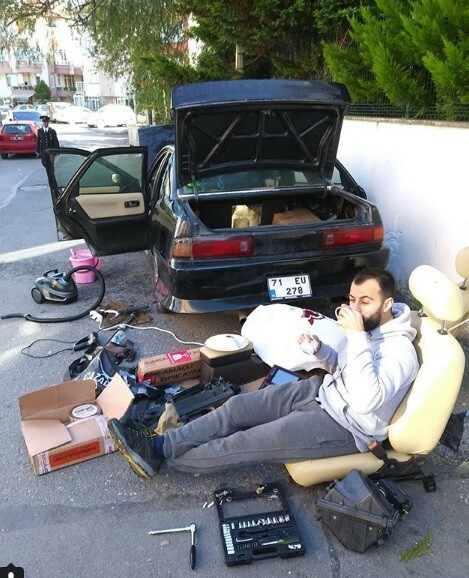 As you see I dont have a garage or any other place to work on the car. This is a big minus for me. No tools, no garage and no knowledge at all. I dont know how it will end. 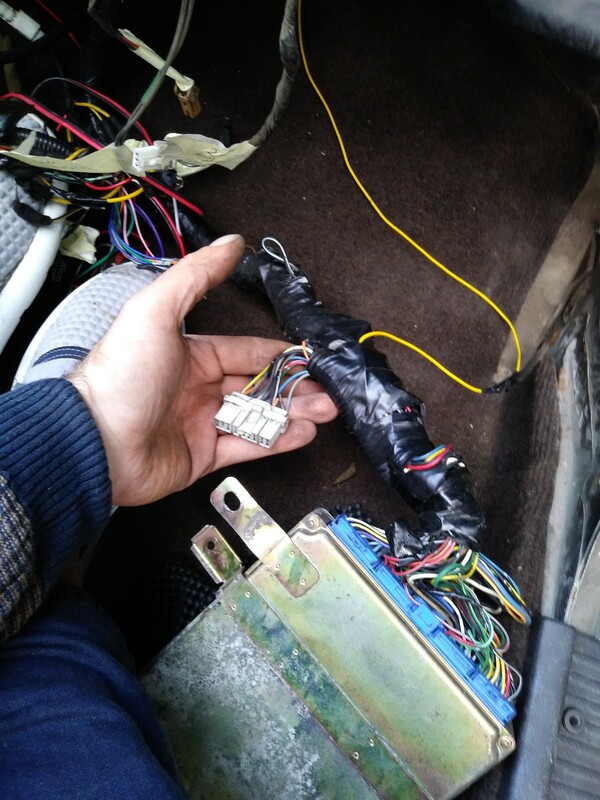 Hopefully I will be done with the dashboard removal this weekend so that I can start repairing the wiring. Alright guys. As the weekend is approaching, I started doing resarches. 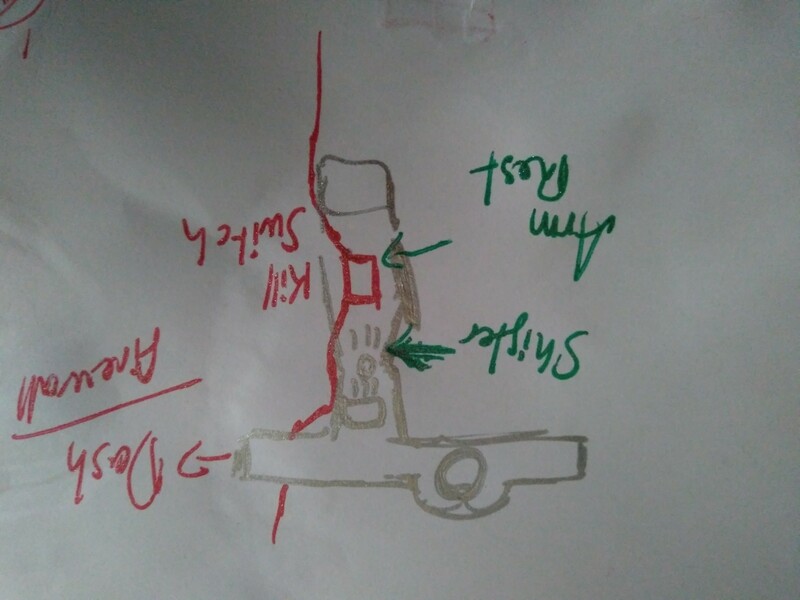 I tried to come up with few drawings to understand how these work and try to shape my ideas on how to re-wire. As I want a FMIC I have to relocate the battery to the trunk. So there are some ameteur drawings. 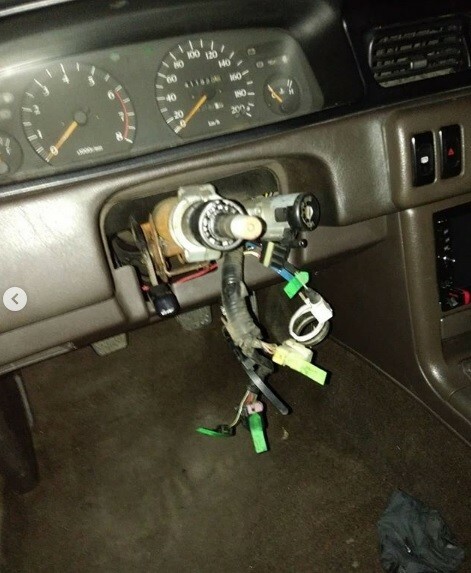 I will run the cable from trunk under the armrest and add there a secret killswitch, then from behind the dash to firewall and finally under the hood. And now the most important thing. I have to understand what needs a relay. I mean I think those need high ampere need relays but I need exactly the part names so I can shape an amateur design before I do research. Because I must find places for the fusebox and relays and ECU first. I was shocked how ruined the wiring was. I will show the ECU now and it will freaking haunt you in your dreams. Yeah. As you see; that one socket was just lying around the ECU, and the ECU was just hanging down the door panel... I want to remove all AC system but I dont have time to do it todat already. 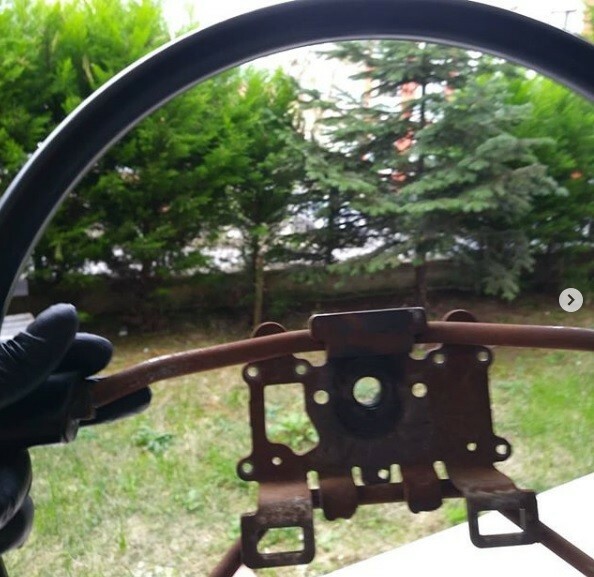 After removing the AC, I have to take care of the rust there. Also, removing that rusty bar will make things very easy. Can anyone suggest me a cheap ECU that is easy to wire? I dont want to keep the stock ECU anymore. Also. What do you suggest I do with that wiring..? Throw it away and get a new wiring along with a new standalone ECU or keep it and fix it, rewire according to the ECU?